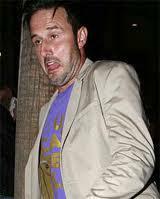 The normally camera shy and private David Arquette has decided to talk openly about his battle with drugs. If you were going to reveal such personal information who would you choose to speak to? A friend? A lover? Well in David’s case he chose Oprah Winfrey, and the 21 million viewers! The ex husband of Courtney Cox appeared on the show this week and revealed how he has just come out of the Betty Ford rehab facility.He said that he had admitted himself for alcohol and emotional issues. David claims to have been sober since December and we certainly hope that he continues this way. With a young daughter to bring up and a career to cling on to, we don’t want our favorite Scream star to disappear in to the realms of addiction!